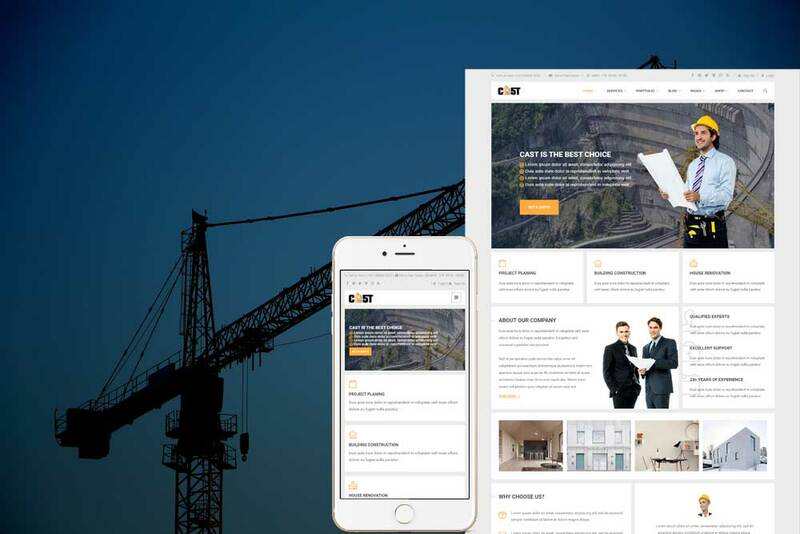 Every Construction Business always deserves a better website. This helps you to showcase your works, experience, team and other necessary information. 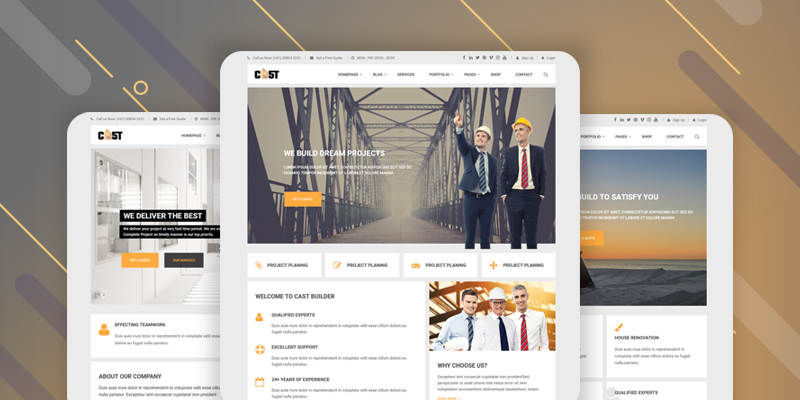 Making a modern Construction Business Template is not so easy. We’ve researched and analyzed a lot of real Websites and figure out all necessary part. 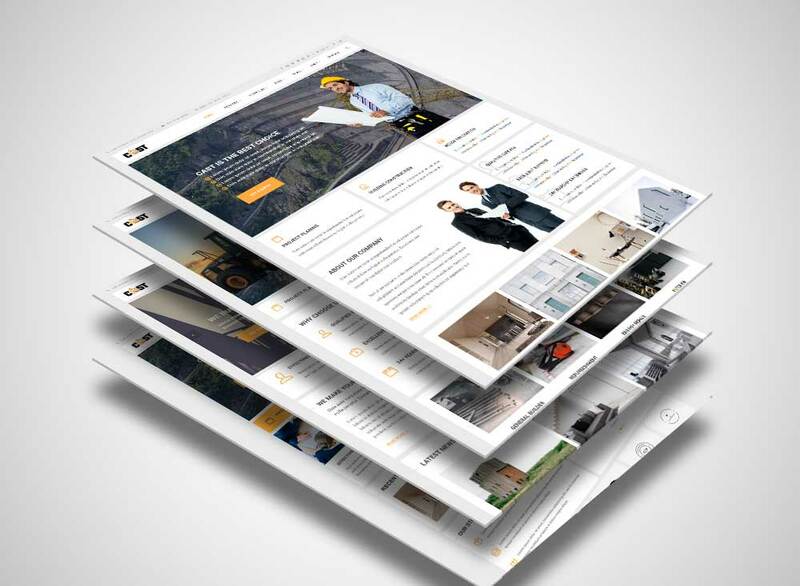 We’ve arranged different variations for home, header, portfolio and blog. Cast adapt with most of all modern browser like Chrome, Firefox, Safari and some others. It's developed with clean code and we've checked it on android, iphone, ipad device. Cast provides 4 homepages layout. You can select the best one and put it in your root directory. Easy to customize everything. 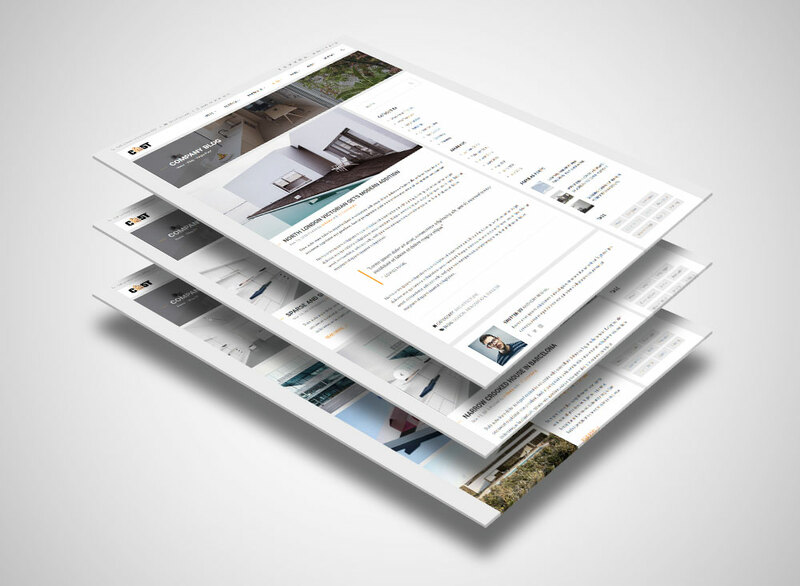 Like the portfolio, Cast provides two blog variations with a single blog post layout. Replace content and make unlimited post with one single layout. We Love to Help you full time!